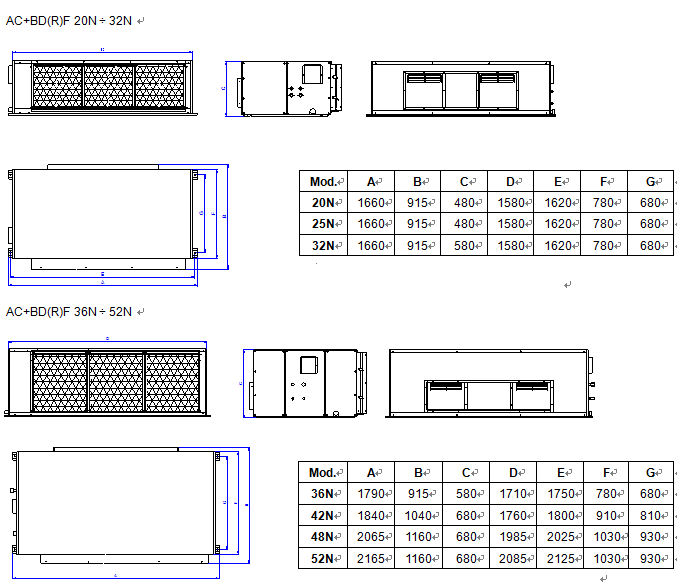 Duct split air condition 11 sizes available ranging from 19.5 kW to 103.7 kW cooling capacity. Condensing units Cooling only and heat pump version. CCU Wide application as hotel, apartment, villa, factory, shopping center, office building, school, etc. Air cooled condensing units Panels and frame are made from metal steel protected with polyester powder painting to ensure total resistance to atmospheric agents. R22 split AC High efficiency scroll compressor for the whole range, with built-in thermal overload cut-out and crankcase heater, mounted on rubber vibration dampers. Compact indoor design, long air supply distance. 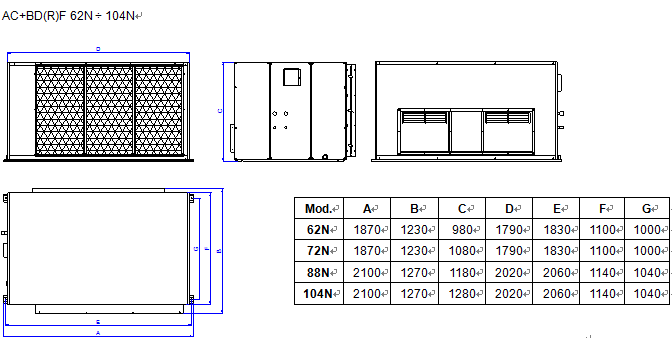 Outdoor units are equipped with low noise axial fans. Indoor units are equipped with quiet centrifugal fans. Duct air condition Splitinstallation, connected by means of flare/welding coupling. 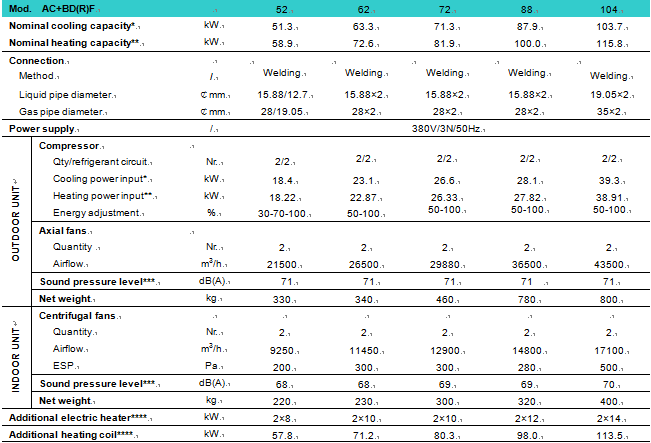 * Cooling capacity is measured under the condition: indoor temperature DB27°C/ WB19°C, ambient temperature DB35°C/ WB24°C. 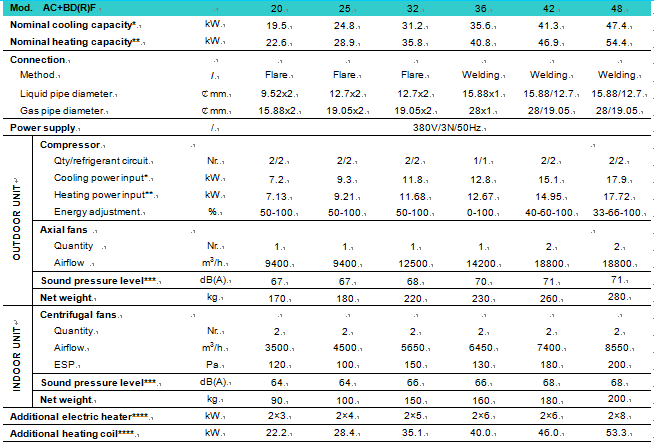 ** Heating capacity is measured under the condition: indoor temperature DB20°C/ WB15°C, ambient temperature DB7℃/ WB6°C.